Straightening your smile isn’t something that should be taken lightly. At Uptown Guelph Dental, one of our general dentists has expertise in orthodontics! Thanks to this extra, extensive training, we’re able to accommodate all types of orthodontic needs and various options for braces without referring you elsewhere. Not only is this more affordable for our patients, it’s more convenient! Your smile is different than anyone else’s and so is your child’s. That’s why we offer different types of orthodontic treatment based on the unique needs of our patients. It’s never one size fits most. Typically, we recommend monitoring the bite alignment of children around age six. This allows us to intervene with interceptive orthodontics before situations become more complex. But, adults make great patients as well. In fact, many of them opt to straighten their smiles at a later age, because they never had the chance to when they were younger. You could even say that investing in orthodontics is a great way to comprehensively manage underlying dental problems like periodontitis. Most types of conventional orthodontic treatments take around 18 to 24 months to complete. 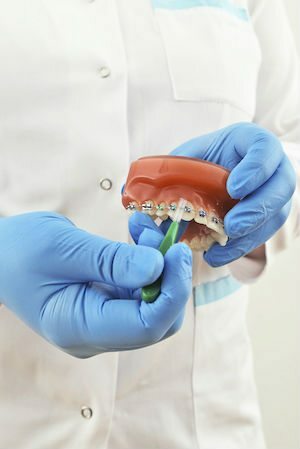 This involves fixed upper and lower orthodontic brackets and wires. If you have mild to severe corrective needs, then traditional braces are almost always an option. Plus, they’re ideal for kids who need a bit of help setting their smiles up for future success. 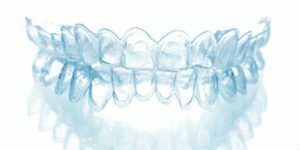 If you are dissatisfied with your smile or simply don’t like the idea of wearing braces because of your age, then Invisalign is a convenient solution to straighten your teeth. We typically recommend it for adults ages 20 and up, or mature teens who won’t accidentally misplace their aligner on their lunch tray! Each aligner is removable, for easy care and maintenance. The translucent material is clear, so that people don’t have to see it over your teeth. Most of our Invisalign patients love that they can remove their trays to eat anything they want. Sometimes all you want is to straighten the front teeth, so that your smile looks more appealing. Aesthetic corrections such as these don’t impact the function of your back teeth. As such, they take far less time to treat. Most of these cases are performed with Invisalign, so that there’s little impact on your appearance during the process. Are you thinking about getting braces? Contact us today and ask for a free consultation. We’ve even provided orthodontics for patients as old as 65 years of age! You’ll never outgrow a straighter, healthier smile. Right now we’re also offering $500 off full Invisalign and orthodontic cases. Call now to schedule! Our dentists can off full-mouth rehabilitation to help you restore your worn out bite for better oral health.